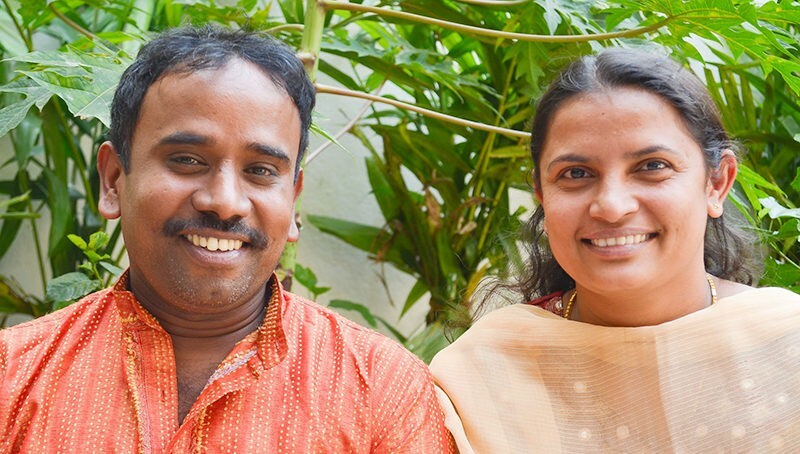 Pitchai Kani (pictured with his wife, Mala) has been at ASM’s partner ministry in India for 21 years—which makes him the longest-tenured staff person currently. He first moved to Bangalore in search of gainful employment. The person who hired Kani was a kind Christian who showed him the love of Jesus and steadily shared the Gospel with him. Kani’s curiosity was piqued and he began to read Scripture voraciously to learn more about this Jesus. When he ultimately surrendered his life to Jesus, he wanted to work in a place that would help bring God’s Word to people who needed it most. 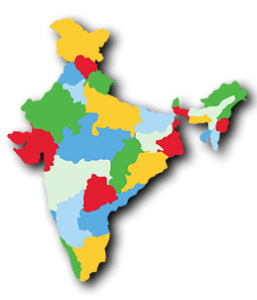 Working at ASM’s national partner ministry in India is a calling for Kani. Kani is involved in shipping audio Bibles, delivering official documents around the city, and keeping the office “wheels” moving. His favorite part of the job is loading the audio Bibles with content for listeners. The reminder that each new language resource he sends out is helping people hear God speak in their own heart language truly brings great meaning to his work.